Last year the Community Outreach Unit launched a program to provide greater security for property belonging to the students and staff of UMass. The project, called Project Protect, allows members of the UMass community to register valuable personal items, such as cell phones, laptops, tablets, and bikes. Officer Kellogg explains, “Project Protect is as close as we can come to an insurance policy on personal property.” The Community Outreach Unit has made the registration process simple: it's done through a link on the home page of the UMass Police Department website. All that is needed for registration is a valid university login ID and a password. 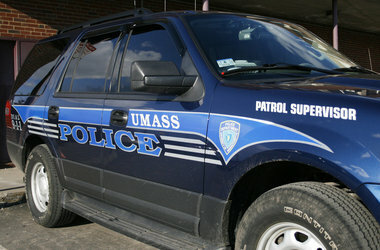 When an item is registered with Project Protect the UMass Police Department mails a decal to the registrant with instructions to place it on the registered object. “If this decal is ripped off it leaves a sticky gum that says ‘void',” Officer Kellogg said. After an item is registered, Project Protect can help even if the item is lost or stolen off campus. After an off campus loss or theft, the Community Outreach Unit will promptly send the item's registration information to the police department that is conducting the investigation. This can greatly aid the investigation. While officials wait for the first round of recovery rates, Project Protect has been seen as quite successful. Within its first two semesters, the project had about 2,000 registrations. Since August 2013, that number has doubled. Right now this project provides piece of mind for the owners who have registered. Project Protect is an innovative way to provide the public with a higher level of safety and security.